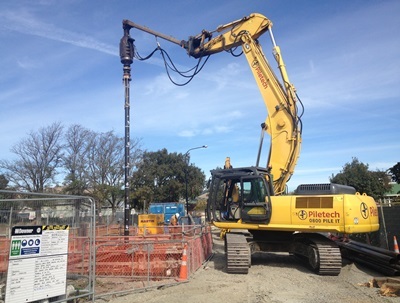 With the rebuild of Christchurch’s sewer lines well underway, Piletech has been involved in a large number of pump station projects. These have generally required an average pile depth of 20+ metres below ground level. 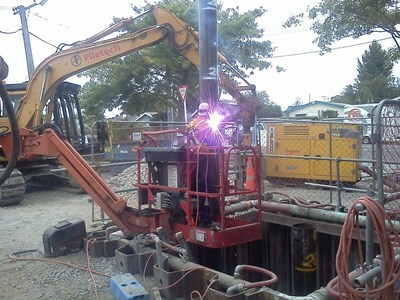 Piletech has worked with SCIRT throughout the design process to develop a screw pile design specifically for each location. Computer modelling has been utilised to analyse the large tension and lateral design loads for each unique pump station location. 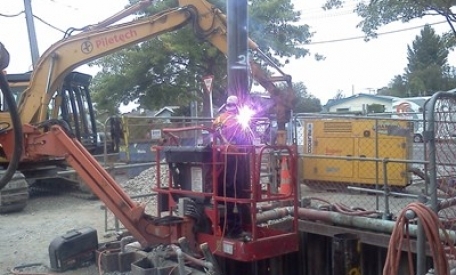 As pump stations are often located close to residential homes, installing screw piles has been an asset, as they can be installed quickly with minimal noise and vibration. With many of these sites having some form of access restriction, an excavator-mounted piling rig is nimble enough to reach the required pile locations. Safety is also at the forefront of design and project planning, with all site staff completing confined spaces training in preparation for the works.